Captivating the skills of our professionals, we are involved in offering a wide assortment of Soundproof Ceilings. This Soundproof Ceilings are highly appreciated amongst our customers due to their high performance. Our products are highly durable in nature and available in market at reasonable prices. These products are easy to use. Soundworks welcomes one and all, seeking acoustical solutions and services. Established in 2003, Mr. Harsha Kumar, CEO and Founder, and the team has been solving soundproofing, noise control and various acoustical problems for over 13 years since it’s inception. With completion of over 500 projects (and counting) the company is determined to bring to the table revolutionary ideas, turnkey solutions and innovative engineering for all aspects of acoustics ensuring aesthetic designs and more importantly conformity to strict quality standards and guidelines. Soundworks has been rendering the best in quality soundproofing products & services for commercial, Residential & Industrial clients all over India since many years. The range of Acoustical Products it supplies comprises of Acoustic Doors & Windows, Acoustic Curtains, Acoustic Foams, Wall & Ceiling Panels/Tiles, Sound Isolators, Diffusers, Acoustic Baffles, Soundproof Chambers, Audiometric Booths and Anechoic Chambers etc. Providing custom-design acoustic products & solutions has been the company’s speciality amongst their clients, keeping in view cost factors, durability & individual requirements. Soundworks aims to provide state of the art acoustical advice, recommendations, efficient solutions and services for clients with a serious need. 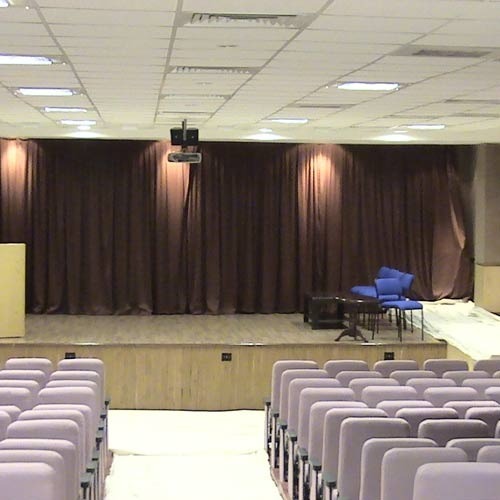 It provides architectural acoustical design and building noise control solutions for auditorium, office spaces, sports arenas, restaurants, clubs & lounges, malls, studios, home theatres, banquet halls, lecture halls, board rooms, conference rooms, jamming rooms, recording studios, TV & radio studios, worship facilities, healthcare centres, etc.